The Children’s Hospital of Michigan Foundation Advisors support the Foundation’s various committees, advising on topics including finances, investments, fundraising and marketing, grants and governance. Joseph Bione, President, Whitehall Group LLC Joe Bione is President and founder of the Whitehall Group with over 35+ years of experience in manufacturing and restructuring. Mr. Bione’s expertise includes the areas of operations, finance, re-engineering, enterprise lean, continuous improvement and supply chain management. Mr. Bione has served as Interim CEO/President for many clients during transition and return to profitability, including CMI Holdings, Venture Industries, Talon Automotive Group, Como Plastics, Detroit Plastic Molding and Kuhlman Automotive Group. He is currently serving as Interim President and CEO for American Special Vehicle Cars where he won the 2016 Manufacturing Leadership Award (ML100) for Visionary Leadership. Mr. Bione started his career as VP & General Manager at Johnson Controls. He was also a partner at Deloitte Consulting in with Global Account Responsibility for Daimler Chrysler. 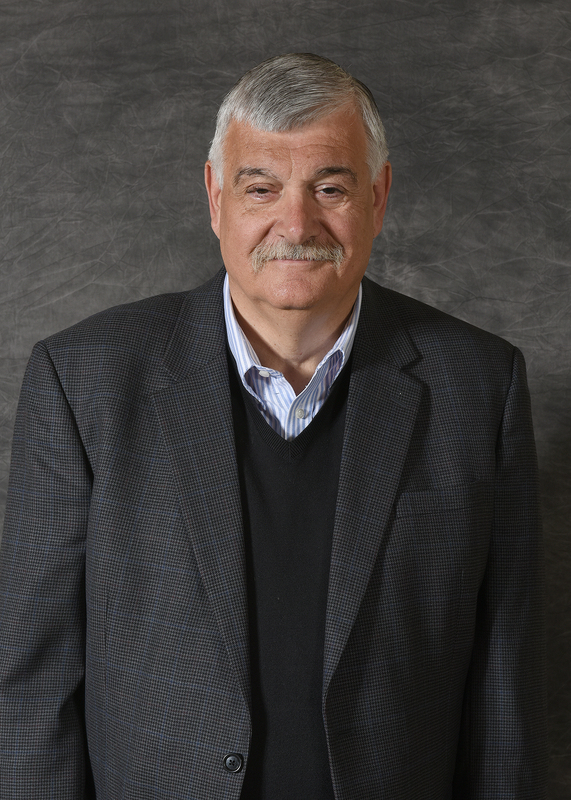 Mr. Bione is an Advisory Board Member of Gannon University’s Business & Engineering Programs, University of Detroit Mercy’s Turnaround Management MBA program, Eastern Michigan University’s Supply Chain Management program and the Erie Chamber of Commerce. Mr. Bione earned his B.S. in Business Management with a minor in Engineering, an MBA in Organizational Behavior and the Distinguished Alumni Award from Gannon University. His certifications include the CPM (Purchasing), CPIM (Production Control & Inventory) and is a longtime member of the Turnaround Management Association (TMA). Having grown up in Children’s Hospital in Pittsburgh, PA with polio, Joe’s parents were told that he would never walk again. Joe was fortunate enough to be part of Dr. Jonas Salk’s experimental programs in developing vaccines and experimental surgeries. Through the efforts of the devoted doctors, nurses and staff in Pittsburgh, he was not only able to walk but eventually play sports in high school and college and go on to live a relatively normal life. With a daughter with disabilities, Joe believes he is uniquely qualified to advocate for children and their parents. Mark Feiler, Director, Ameriprise Financial Services Mark is currently overseeing the Wealth Management business across eight locations in greater Michigan. He works with individuals, businesses, and institutions helping to manage their investment assets and retirement savings. Prior to Ameriprise, he spent 16 years at Morgan Stanley in leadership positions in Scottsdale and Miami. Mark attended Florida State University where he received a Bachelor of Science in Finance with a concentration in Economics. In 2007 and 2009, Mark received national recognition as one of the top 100 branch managers in the nation by peers in the annual survey hosted by On Wall Street Magazine. He’s been active in a number of organizations including University of Miami’s Sylvester Comprehensive Cancer Center, Gleaner’s Food Bank, Relay for Life, as well as coaching soccer and numerous school related commitments. Mark is passionate about cooking, traveling, and spending time with his wife and three children. His connection to Children’s Hospital began years ago when a mentor was actively involved. Since that time, he has become closer as his daughter is currently a patient in the electrophysiology department, with an ongoing irregular heart issue. Last year she successfully received an implanted pacemaker device, and is doing great. Terry Gardner, CFO/COO, Michigan Health Endowment Fund Terry is the Chief Operating Officer and Chief Financial Officer for the Michigan Health Endowment Fund, a charitable foundation that works to improve the health of seniors and children in the State of Michigan. Prior to joining the Health Fund, he served more than 30 years in the accounting and finance industries. Terry holds a BA in Economics from Albion College. 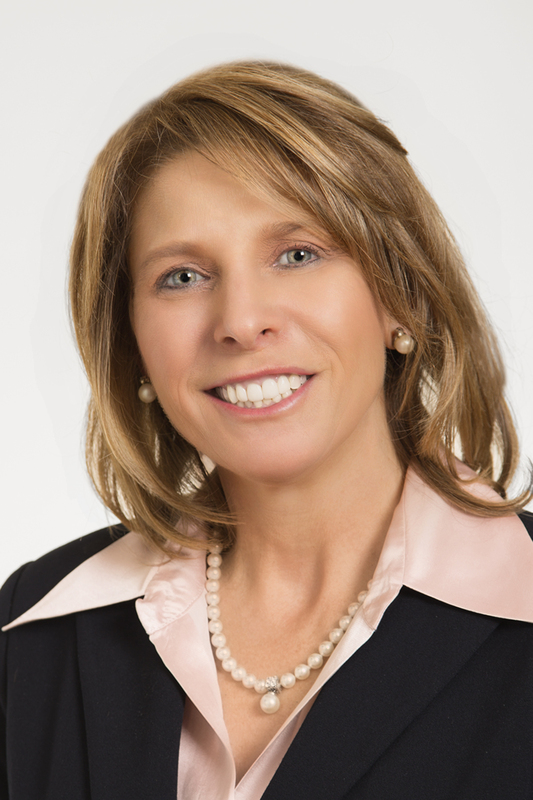 Gretchen Holloway, Senior Vice President & Chief Financial Officer, ITC Holdings Corp. In her role, Ms. Holloway is responsible for the company’s accounting, internal audit, treasury, financial planning and analysis, management reporting, risk management, and tax functions. ITC Holdings Corp. is the largest independent electricity transmission company in the country and invests in the electricity transmission grid to improve reliability, expand access to markets, lower the costs of delivered energy and allow new generating resources to interconnect to its transmission systems. Ms. Holloway is a member of the Finance Committee for the Children’s Hospital of Michigan Foundation and a Board member of the Metropolitan Affairs Coalition. Ms. Holloway holds a Bachelor in Business Administration degree in Finance from Western Michigan University. As a mother of three, Ms. Holloway is vested in providing resources to assist in the health and well-being of young children. Marina Houghton, President of Houghton Consulting, PLC Marina provides accounting and consulting services to governmental, healthcare, manufacturing, and not-for-profit organizations. Previously, Marina was the Founder and President of Wolinski & Compay, C.P.A, P.C. which was purchased by Baker Tilly International in 2015. In 2016, Marina was recognized by Crain’s Detroit Business Magazine as one of the “100 Most Influential Woman” in Michigan. In prior years, Marina was named “Top 40 under 40” by Crain’s Detroit Business Magazine, and received the “Emerging Corporate Leader” award by Wayne State University. Marina was also a finalist for the Eastern Michigan EY “Entrepreneur of the Year” award. Nancy Levy, Anthropologie Nancy Levy is a graduate of Ohio State University, where she received a Bachelor of Science degree in education. After graduation, Nancy taught elementary school in Michigan and pursued advanced courses in Guidance and Counseling. Nancy has a strong history in the Metro Detroit fashion industry and began her career as a wardrobe stylist and fashion retailer at her mother’s couture woman’s boutique, Dicken’s, one of the first in Southeastern Michigan. Levy founded the Birmingham fashion boutique Basic Goods and years later continues to work in the fashion retail space. She currently is involved in wardrobe styling and personal shopping for Anthropologie. Levy is an entrepreneur and educator who enjoys training young fashion associates on the finer points of creating a lasting relationship with retail customers. She works with people of all walks of life and uses fashion and style to help others express their personalities. She particularly enjoys human-to-human interaction. Her career work is founded on her belief that living a happy full life is the most important driving force and she extends this to her clients, philanthropic community and family. Levy has been a supporter and volunteer of the Children’s Hospital of Michigan for more than thirty years. Her work in the Metro Detroit community is extensive and she has also been active with the Cranbrook Educational Community, Habitat for Humanity and The Parade Company. She resides in Birmingham with her husband John. Brian Marshall, Senior VP and Commercial Region Manager, Huntington Brian is a senior bank officer with over 25 years of banking experience leading the Commercial Bank for Huntington’s Michigan and Northwest Ohio markets. He leads multiple teams serving these markets and oversees the banking needs of a multi-billion commercial portfolio. This responsibility includes the delivery of the full value of the bank to the commercial customers including loan, deposit, capital markets, and treasury plus other ancillary bank products and services. Brian attended Hillsdale College and Wayne State University where he earned his MBA. Brian is a life-long Michigander who lives in Grosse Pointe with his wife MaryBeth and their daughter. Brian serves on the Finance Committee of Children’s Hospital of Michigan Foundation. Dr. Seetha Shankaran, Children’s Hospital of Michigan Dr. Seetha Shankaran is Professor of Pediatrics at Wayne State University School of Medicine. From 1990 to 2016 she served as Director of the Division of Neonatal-Perinatal Medicine in the Department of Pediatrics based at Children’s Hospital of Michigan and Hutzel Women’s Hospital. She is involved in patient care, research, education and advocacy for Children. Her research includes performing clinical trials of new therapies, neuroprotection and long term follow up of high risk infants. She was the WSU site Principal Investigator of the NICHD multi-center Neontal Research Network from its founding in 1985 to 2016 and performed the first US trial of the neuroprotection with hypothermia for hypoxic ischemic encephalopathy (HIE) in term infants with continued follow up of trial participants to childhood. This therapy has become the standard of care for HIE. She also demonstrated the safety and efficacy of the cooling strategy, comparing standard cooling with longer and/or deeper cooling. Dr. Shankaran was also the site PI of the study evaluating impact of maternal lifestyle during pregnancy (MLS) on childhood and adolscent outcome funded by NIDA and NIMH. Dr. Shankaran attended St. Joseph’s Covent located in Coonoor, India from 1950-1961, Queen Mary’s College in Madras, India from 1961 to 1962 and Madras Medical College from 1962 to 1968. She has received many outstanding honors and awards throughout her 50+ year career including Hutzel University Hospital/Hutzel Womans’s Hospital Physician Difference Maker in 2015, Honorable mention: Who’s Who in Academia, listed in Annual “Top Docs” Castle Connolly Medical and Annual “Top Docs” Hour Magazine, Detroit as well as Best Doctors in America 2012-2013. Dr. Shankaran is an Expert Medical Witness in Neonatology as well as served on a number of National, International, State and University Boards and Committees. Dr. Shankaran has published in over 300 publications and taught a variety of courses since 1975. She is a member of the Children’s Hospital of Michigan Foundation Grants and Compliance Committee and has supported approving over 50 grant projects. Leaders for Kids is an advisory board created to support the charitable work of Children’s Hospital of Michigan Foundation. This organization of emerging leaders from southeast Michigan is passionate about the health and wellness of children in the region. Peter J. Ginopolis (Chair), Vice President, LSG Partners Peter Ginopolis, specializes in assisting high net worth families, businesses, and professional athletes with insurance planning. Peter provides an unparalleled sense of financial security for his clients, utilizing his experience in Health, Life and Disability insurance consulting. A strong supporter of the metropolitan Detroit community, Peter played a part in creating two endowments aimed at funding hematology and oncology research – the Georgie Ginopolis Endowment and the Endowed Chair for Wayne State University. He currently serves on the Children’s Hospital of Michigan Foundation board and is a member of the Executive Board of CATCH, Sparky Anderson’s Charity for Children, benefiting Children’s and Henry Ford Hospitals. Renee Lossia-Acho, Owner, Keller-Williams Domain, Birmingham Renee has been a lifetime Michigan resident. As a real estate agent, Renee emerged quickly as an industry leader using her skillful, creative, and consultative approach to marketing and sales. Since beginning in 2005, she continues her commitment to her clients by providing insight and guidance far beyond the purchase or sale of their home. Recently named as Brokerage’s Top Producer in 2015 and Birmingham’s top selling agent 2013-15, Renee is also consistently in the Top Producer ranks in Bloomfield year after year. Renee has generated over $350 Million in real estate sales and is recognized by Hour Magazine, Crain’s Detroit Business, and the Wall Street Journal’s REALTrends as being one of the top 1% of realtors nationally. Dedicated to continuously exceeding expectations, Renee developed an expertise not only residential transactions but in architecture, design, and development as well. Because of her vast knowledge, many residential builders seek her collaboration for all phases of the luxury residential development process. Her expertise ranges from property discovery to layout and design, as well as choosing materials to selecting finishes, and ultimately from marketing strategies to completing and closing the sale. Recently in 2016, Renee has accepted an ownership position as the luxury arm of the well-established international Company KW Domain in Birmingham. This new affiliation expands my clients’ global reach to luxury real estate markets worldwide. Kristina Berger, Global Manager, Key Accounts Kristina Berger brings over 17 years of executive management experience and is the Global Manager of Key Accounts for assembly tooling manufacturer Apex Tool Group, Inc. She is an avid supporter of various institutions that promote the well-being of children. More importantly she is passionate about our cause. Being a native Californian, as a child she witnessed the exemplary medical attention and volunteer staff support the Children’s Hospital of Los Angeles provided to a family member in turn extending her life. Her experience resonated into a philanthropic desire to fulfill our quest to discover treatments, cures, and most importantly preventative measures that can be implemented within our medical community and taught to the general public so that we can decrease the number of illnesses, disorders and injuries that affect children in Michigan as well as globally. This is a lifetime commitment in which she intends to pass along to her children as future philanthropists. 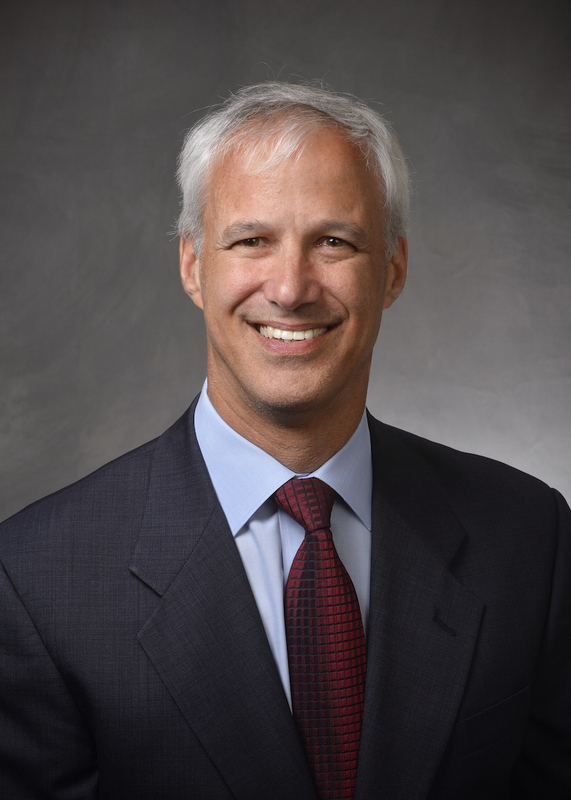 Tom J. Berman, Oakland County Commissioner & Chief Administrative Officer & General Counsel, Reverie Tom is the Chief Administrative Officer and General Counsel to Reverie, a Sleep Technology company headquartered in Bloomfield Hills, Michigan. Tom is responsible for helping develop Reverie’s overall business strategy and business development efforts and he also handles day-to-day affairs related to all legal matters – including its intellectual property portfolio and real estate management, as well as leading the human resources and IT Teams.Prior to joining Reverie, Tom formed Berman Law, PLLC right out of law school. While practicing, Tom not only served as Reverie’s outside General Counsel, he also served as Dan Gilbert’s Bedrock Detroit’s first General Counsel and “Parking Guru”. Tom graduated from Detroit Country Day School (1997), Michigan State University with a B.A. in Criminal Justice (2001) and Tom earned a J.D. from the University of Detroit Mercy School of Law (2004). Tom was elected to serve on the Keego Harbor City Council in 2013, and most recently Tom was elected to serve on the Oakland County Board of Commissioners, representing the 5th District. Tom is the past President of the Michigan Chapter of the Crohn’s and Colitis Foundation of America (“CCFA”) and continues to serve as a member of the Board of Trustees. In addition, Tom was named in 2014 to L. Brooks Patterson’s Oakland County Elite 40 Under 40. Tom is now a member of the Leaders for Kids Advisory Board to the Children’s Hospital of Michigan Foundation.Tom lives in Keego Harbor with his wife Jenny and two daughter, Alexis and Olivia. Jaime Bochenek, (Chief Marketing Officer) Development Director, Great Lakes Field Service Council, Boy Scouts of America Jaime Bochenek is responsible for the growth and execution of a Special Event portfolio at BSA, as well as the addition of new and innovative events which contributes $1 million annually to support Scouting programs in Southeastern Michigan. Jaime is a graduate of Rochester College with a degree in Mass Communications and displays diverse experience in events, marketing, and non-profit. Previous to the BSA, Jaime served as an Account Manager with pulse220, an experiential event firm based in Ferndale. In this role Jaime successfully ran multiple events for clients including PepsiCo, Quicken Loans, the University of Michigan and many others. 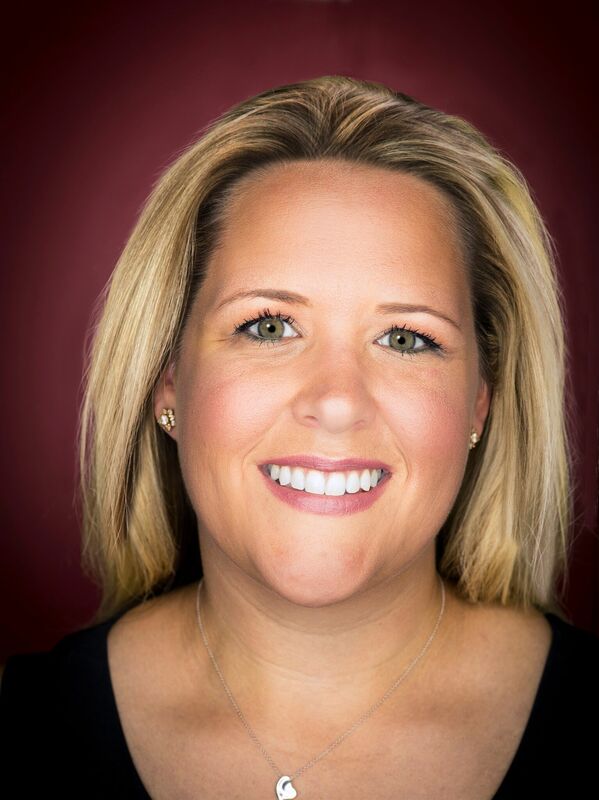 Prior to pulse220, Jaime served as the Business Development Director with MIYAN Media and as both a Manager and Sommelier with the Andiamo Restaurant Group. 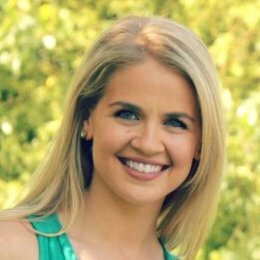 Kathleen Borschke, Senior Account Director, The Fulkerson Group Kathleen Borschke is an accomplished sponsorship sales and fulfillment professional, a proud University of Michigan Alum and a Troy, Michigan native. 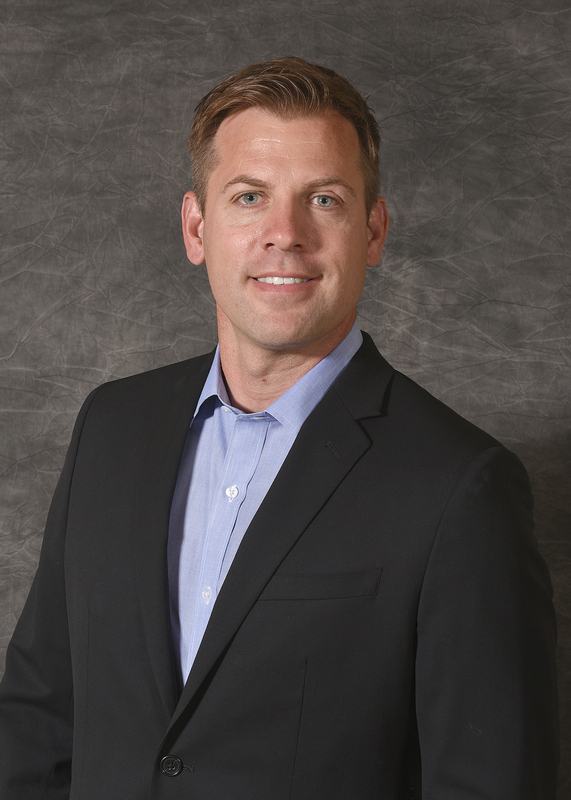 Having worked nearly 15 years supporting and directing sponsorship efforts for companies such as IMG, the Detroit Red Wings, Arizona Coyotes and the Minnesota Wild, Borschke returned home to Detroit in 2010 to work with a major events agency, The Fulkerson Group. In this role, Kathleen specializes in negotiating and securing partnerships for many of Detroit’s premier events including the North American International Auto Show, the Chevrolet Detroit Belle Isle Grand Prix presented by Lear, the Parade Company, Jazz Fest and Shell Eco-Marathon. 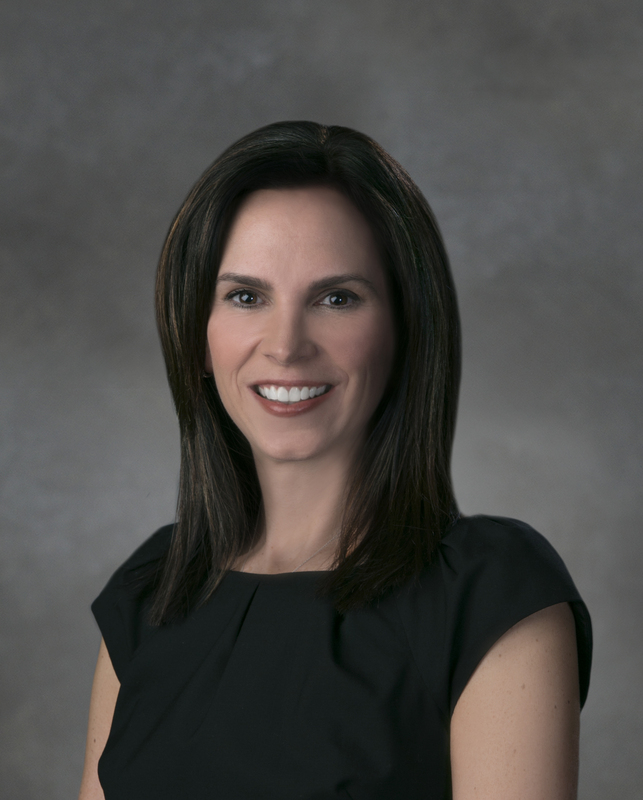 Borschke currently serves on the board of the Networking Business League (NBL) for the Detroit Pistons and was formerly the Co-Chair of the American Heart Association’s young professionals board. Kathleen was honored to be chosen as a member of the 2014 Class of 30 in their 30s for DBusiness and to Oakland County Executive’s Elite 40 Under 40 in 2016. Ajay Chawla, Co-Founder and President, GroupClique Ajay Chawla is an accomplished multifaceted leader with 17 plus years of experience in executive leadership, business development, and account management. Ajay also has an extraordinary blend of business acumen, operational expertise and technological savvy with a profound knowledge of multiple industries. 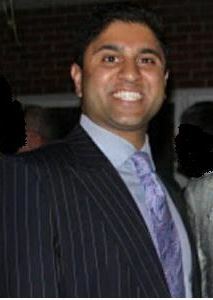 Ajay was also the founder and Chairman of Toast For Tykes, a non-profit started in 2001. TFT has contributed over $400,000 to various organizations that serve children in southeast Michigan. These organizations include Children’s Hospital of Michigan, Kids Kicking Cancer, University of Michigan Pediatric Burn Unit, Epilepsy Foundation of Michigan, and Catch. Ajay spends his spare time giving back to his High School, Brother Rice, where he has served as the lacrosse coach for the last 10 years., Ajay also serves on the Board of Children’s Hospital of Michigan Foundation. Ajay is a graduate from Marymount University in Arlington, VA.
Jonathan M. Colman, Partner, Barron, Rosenberg, Mayoras & Mayoras, P.C. 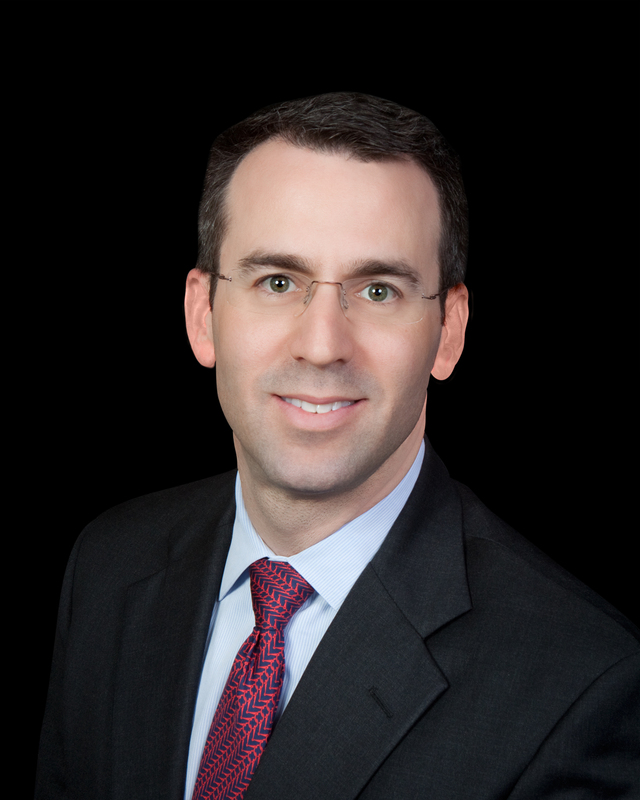 A partner with Barron, Rosenberg, Mayoras & Mayoras, P.C., Jonathan Colman concentrates his practice in trusts and estates, with a focus on trust and estate disputes, administration and probate. 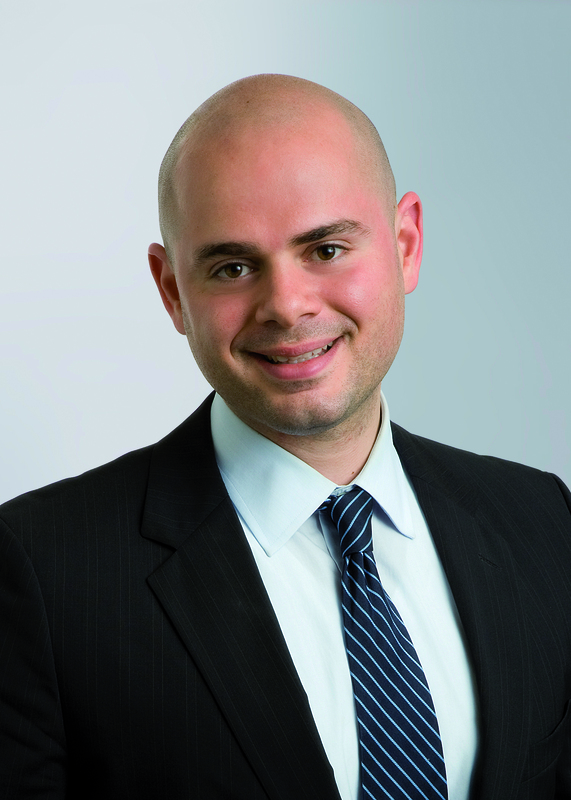 Jonathan has been selected as a “Rising Star” by Super Lawyers Magazine each year since 2012, and has been designated a “Top Lawyer” by DBusiness magazine. He is a graduate of the University of Michigan and Wayne State University Law School, where he was both a Dean’s Scholar and a tLombard Fellow. In addition to Leaders for Kids, Jonathan serves on the Children’s Hospital of Michigan Foundation’s Planned Giving Advisory Council and is a member of the Financial and Estate Planning Council of Metropolitan Detroit. Jonathan is particularly committed to youth-focused charities and believes investment in the youngest residents of metro-Detroit will return a better future for everyone. 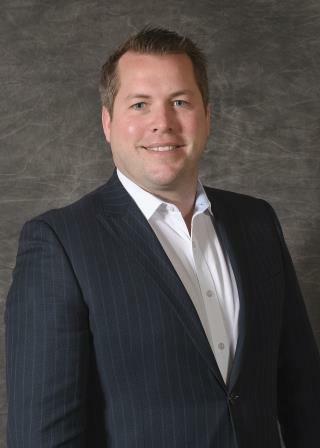 Charles Dabrowski: Chief Financial Officer, Wealth Advisor, Palatine Hill Wealth Charles Dabrowski provides clients with investment management and wealth advisory services. He is actively involved in the Detroit Community and at the Detroit Athletic Club where he serves on the Club’s Finance Committee, and as the Treasurer of the Intermediate Board. Charles is passionate about issues affecting children. The son of a doctor who has practiced at DMC Children’s Hospital of Michigan for many years, Charles spent a considerable amount of time during his formative years around children with health related issues, which fuels his desire to give back to children in need. Charles earned his B.A. from the University of Michigan, his J.D. from Wayne State Law School, and his Masters of Law in Taxation at Chicago-Kent College of Law. Derek Dickow, Founder, Steward Media As the Founder of Steward Media, a local PR and marketing firm, Derek Dickow, is a power connector to reputable organizations and community leaders throughout Southeast Michigan. Steward Media has built its reputation in fundraising and manages Public and Political Relations for municipalities, various businesses, and non-profit organizations. Derek currently serves his community in many capacities as an activist, organizer and fundraiser. His client base includes members of city council, mayors, judges, state representatives, senators, congressional leaders and presidential candidates. Outside of politics, he is most proud of his fundraising abilities for local charities. He and his team have generated millions of dollars in support of worthy causes over the years, and is excited to serve as a Leaders for Kids Board Member. Milan Gandhi, VP, MedShare Milan Gandhi was born and raised in metro Detroit, attending Detroit Country Day School and The University of Michigan, Ann Arbor where he earned a bachelors degree in Industrial Engineering and Applied Mathematics. As the leader of Business Development and Strategic Partnerships for Med-Share, Mr. Gandhi has made a name for himself as a tenacious marketer and tireless net-worker. He has been able to drive sales of his family owned Mobile Diagnostic Imaging business through alignment with key Physician Networks and Independent Medical Groups. Today, Med-Share enjoys a 30+ year track record of strong customer service and tailored service delivery methods. In addition to strong growth in the core Diagnostic Imaging space, Mr. Gandhi is currently focused on the Medical Practice Management division of the operation. By partnering with individual physicians and physician groups to make their practices more profitable, his simple, yet effective model of managing the operations and revenue cycle of the medical practices makes it an attractive alternative for physicians seeking relief from day-to-day operational responsibilities. Mr. Gandhi is on the Board of Directors of the Small Business Association (SBAM) as well as the SBAM Political Action Committee Board. He serves on the board of advisors for Governor Snyder for the Integration of Mental and Physical Health Services. He is a member of the Advisory Board to Lotus Bank. He also serves with pleasure as a Board Member of the Indo-American Chamber of Commerce, the Council of Ethnic Chambers of Commerce and Leaders for Kids benefiting Children’s Hospital of Michigan. Michael George II, (Chief Social Officer) President and CFO, George Enterprises Michael George is the President and CFO of George Enterprises a collaboration of companies, owned and operated by the George Family. Michael is a key player focusing on strategic direction and new ventures, mergers and acquisitions. In addition to overseeing some of the food related businesses, he is also ventured off into real estate, warehousing, technology, health & fitness, entertainment and philanthropy. Through his event planning company, Future Entertainment, Michael produces some of Metro Detroit’s most well-attended charity and holiday parties, and as president of the Michael J. George Charity, he advances his father’s commitment to the community, focusing on causes such as poverty, terminal illness and education. 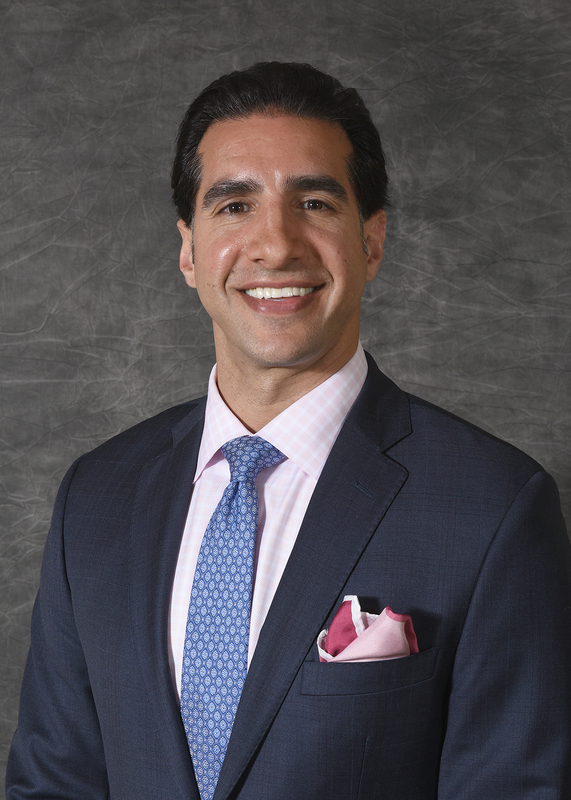 Richard Haddad, Vice President & General Counsel, Palace Sports & Entertainment and Detroit Pistons Richard Haddad is Vice President & General Counsel of Palace Sports & Entertainment (PSE) and the Detroit Pistons. He oversees legal, business and government affairs for Palace Sports & Entertainment, the Detroit Pistons, and related properties and companies, including the Palace of Auburn Hills, DTE Energy Music Theatre, Freedom Hill Amphitheatre, Meadow Brook Amphitheatre, Roundball LLC, and the Detroit Pistons Foundation. 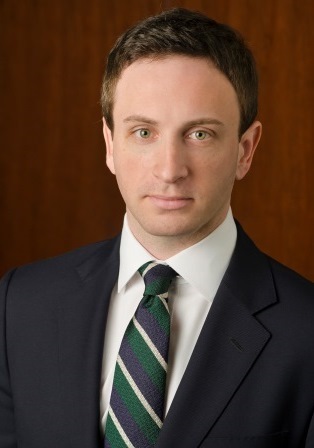 Before joining PSE in 2012, Richard practiced law at Proskauer Rose LLP in New York, where he represented a broad base of corporate and individual clients in the sports, finance, media, entertainment, aviation, real estate and other industries; and served as a law clerk to Judge Barbara S. Jones of the United States District Court for the Southern District of New York. Richard grew up in Adrian, Michigan, and graduated from the University of Michigan (BA – History) and Columbia Law School (JD). Matthew Johnston, Global Facilities Risk Management, TI Automotive Matthew Johnston joined TI Automotive in August of 2010. In his complex role where he oversees over 130 facilities worldwide, he is responsible for finding ways to identify and analyze the financial impact of loss to the organization, employees, the public, and the environment. Matthew has always had a passion to help those in need and has helped many charities raise money and awareness in the past. He is excited and honored to work with the LFK team and help grow such a wonderful organization. Daniel Milan, Co-Founder and Managing Partner of Cornerstone Financial Services, LLC Daniel Milan left his legal practice in 2009 in order to found Cornerstone Financial Services, a Wealth Management, Estate Planning and Business Strategies firm, and expand the spectrum of services that he could offer his estate planning clients. 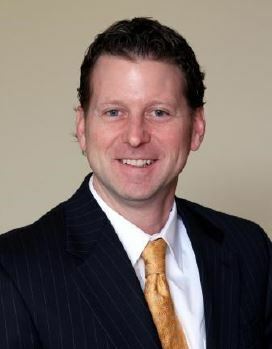 As a self-proclaimed “rehabilitated attorney” Daniel concentrates his practice within Cornerstone on estate plan strategies and funding, small business succession planning, executive compensation strategies and qualified plan strategies as well as chairs the Investment Committee within Cornerstone’s Asset Management Group. Additionally, in 2013 Daniel took over the role of CEO and President of his family’s computer peripheral manufacturing company due to his father’s failing health and managed the business through a turnaround and reorganization process culminating in the sale of the company to a strategic partner after his father’s passing in late 2014..
Ethan Weisman, Business Development Manager/Construction Services Liaison, General Development Company Ethan manages business development activities for General Development Company LLC, emphasizing open communication with tenants. Ethan has steady interaction with service contractors and tenants at each property, and provides valuable insight for all of our tenants’ needs. This enables our property management team to effectively direct the activities at each location and maintain a Class A facility. Ethan is responsible for the implementation and management of the company’s Social Media and Marketing approaches. This includes content strategy, develop brand awareness and technical support, to ensure that all of our clients and projects are represented with the latest technology.Ethan attended Michigan State University where he studied marketing and communications. Ethan also sits on three Boards of various charities in the Metropolitan Detroit Area. Ethan also holds a Real Estate Sales Person License.